Driver Appreciation, a Year Long Commitment. With Driver Appreciation Week set to take place this coming week from 9/9-9/15, Long Haul is very excited to congratulate and thank all their teammates on the road for another successful year. It is due to countless hours of hard work and commitment that our company remains ahead of the pack in terms of retention, revenue and respect. 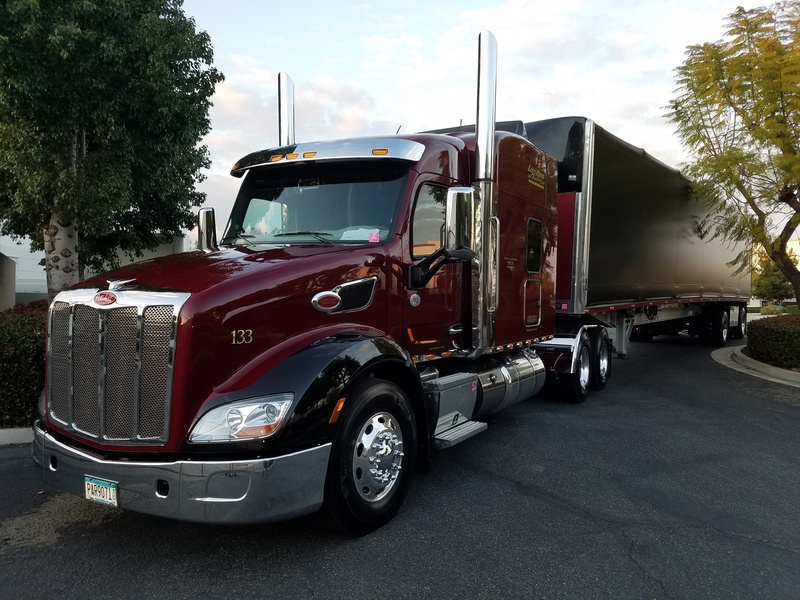 And although Long Haul Trucking values DAW week, the primary concern is to be known as the company that treats their drivers, employees and people the right way all year long. Driver Appreciation Week at Long Haul Trucking is a great event for all teammates. The company hosts a competition for best truck picture, daily luncheons, and other fun events. Part of the situation trucking companies face, however, is that while corporate headquarters is enjoying week-long events, many hard-working teammates on the run spend more time moving freight and working, than being able to come to the office and celebrate. It’s not difficult to understand and appreciate why drivers might feel that even though it’s their week to be appreciated, they miss out on a majority of the fun due to remaining hard at work all over the country. This has lead Long Haul to ask, how can we ensure our teammates on the road are feeling appreciated, even when they cannot be routed to corporate for the week of festivities? “When you have a team of 350 players, constantly moving, always working, it’s unrealistic to think that we can stop our flow of traffic and have them all brought to corporate for a week of fun and games.” -exclaimed Long Haul VP Jason Michels when asked about the week-long celebration. Michels also went on to state: “Which is why it’s incredibly important for us to have our drivers feel empowered, respected and appreciated all year long. The week is fun, and we will always acknowledge it, but there’s a lot more to being an elite carrier than patting some of the hardest working teammates on the back for one week out of the year.” It is with this mind set that keeps Long Haul among the top carriers for driver satisfaction, pay and turnover. With a culture focused on placing people before profit, the company has been able to help many members of their team maximize on reaching their full potential, which leads to stronger numbers and revenue. Former Long Haul Owner Operator, and Current Fleet Manager, Josh Hainstock stated a similar view point when asked about Driver Appreciation Week. “It’s great to feel appreciated, but unrealistic to think that we can get everyone here to celebrate. Plus, most Long Haul drivers are understanding of the fact that if they do go out of their way to get back up to corporate, it might mean a dip in revenue for the week. We really try to make Driver Appreciation Week a year-round event at Long Haul with our current culture.” This view point comes from a man who has been both behind the wheel, and behind the desk, seeing both sides of the equation. DAW week at LHT is sure to be a great event, but it will not increase nor decrease the amount of appreciation we have for our team all year round.